Care that Unincorporated Businesses' tax rate be 15% (first 2 million HKD profit @ 7.25%). 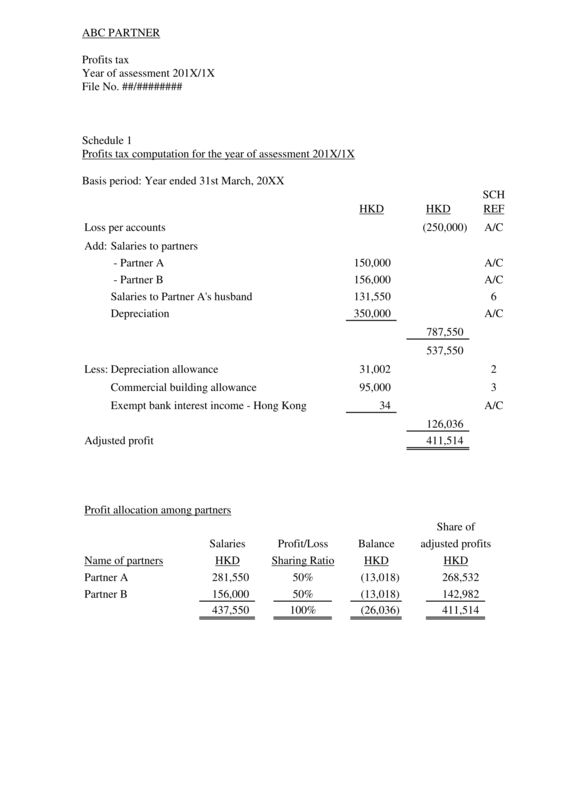 In the calculation, partners' salaries' effect was removed to arrive at the adjusted profit of the partnership. 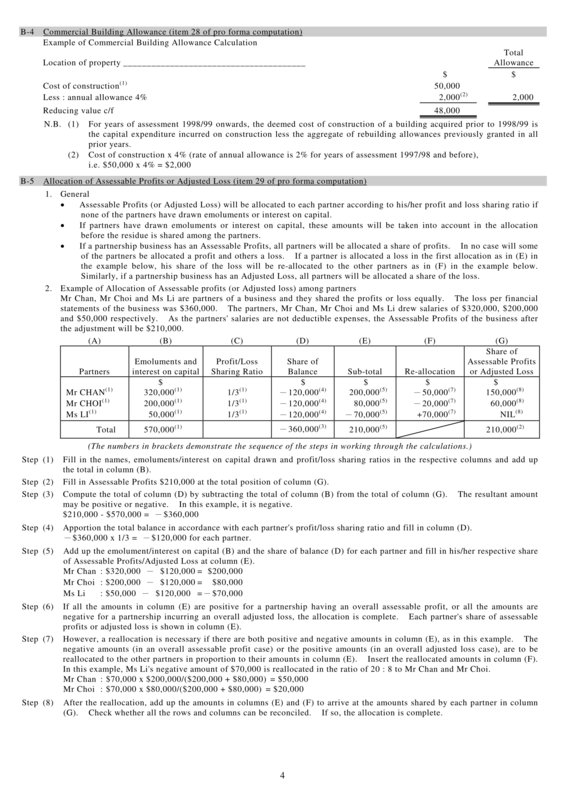 And at the table below, the adjusted profit of the partnership was distributed to partners on equal sharing among partners basis. But by agreement between partners, partners can have different % of sharing. Additional discussion: sole proprietor and partnership are not Separated Legal Entity so that can't acquired any property, but they may still can claim Commercial / Industrial building allowances if the sole proprietor and partnership owns a property and grant it to the business for usage. 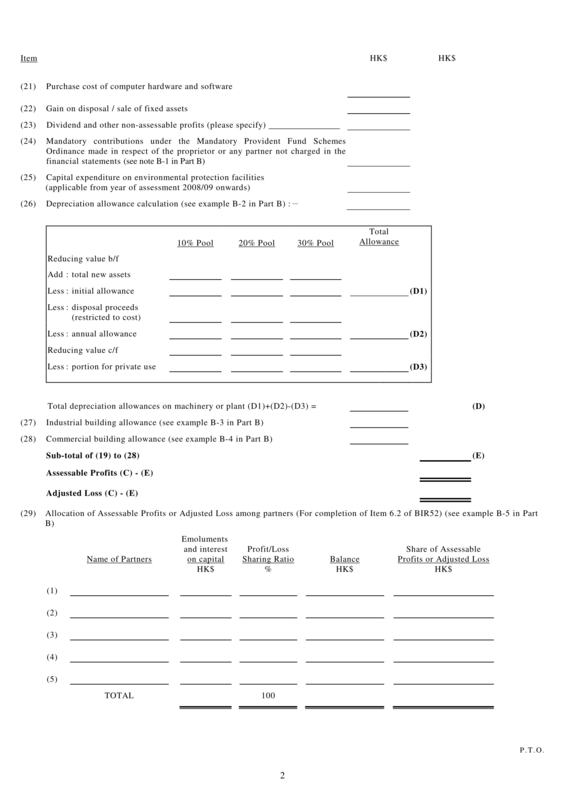 In IRD's form, we can see cells for Commercial / Industrial building allowances are provided. 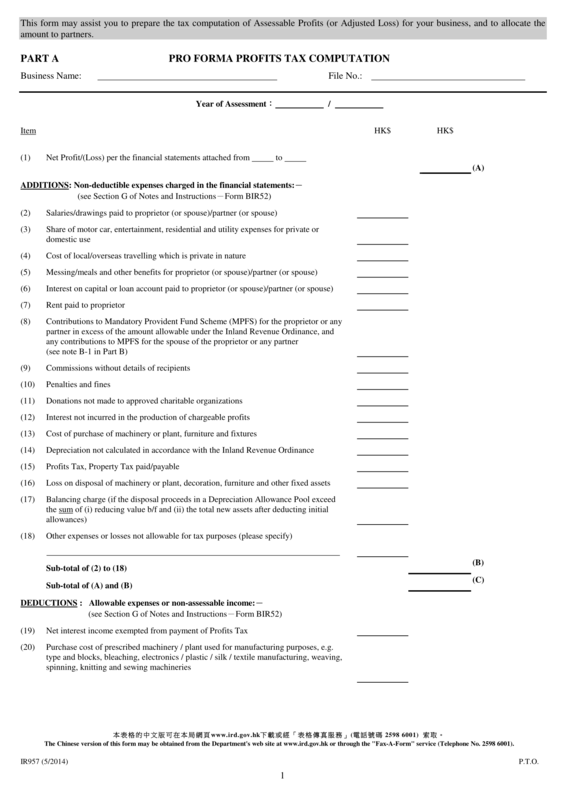 Year-end date of partnership and soleproprietorship can be any date of calendar year, not compulsory to be 31 March 2019, which is year-end date of HKSAR fiscal year. Some Chinese traditional pawnshop may use lunar calendar year-end as its year-end so that at Gregorian calendar every year this pawnshop has different accounting year-end date.